Tempest Tours is the most respected storm chasing tour company in America. Since our founding in 2000, we've provided a unique educational adventure to hundreds of happy guests from around the world. With decades of combined storm chasing experience, our team is among the best anywhere. They consists of trained storm spotters, a climatologist, severe weather research meteorologist, wind meteorologist, and a National Weather Service meteorologist. We employ the latest weather radar and tracking hardware and software, redundant GPS and weather information systems, and the most experienced storm chasers in the industry to hep us locate the best storm of the day. Come join the chase and experience tornado alley. Safety is our top priority. We use heavy-duty vans modified to carry a maximum of only 6-7 passengers for enhanced comfort and safety. All tour drivers are approved by our insurance company. And our staff attends a rigorous safety training orientation annually. Why Chase With Tempest Tours? Experienced Storm Chasers. That's what it's all about. The Tempest Tours Team possesses a thorough knowledge and feel for severe weather forecasting and the ability to identify and intercept the most significant weather of the day. Solid Intercept Record. We are able to achieve this high intercept rate because of the logistical and forecasting skills we have developed over many years. Safe, Comfortable, Reliable Vehicles. Our company-owned heavy duty vans are modified to carry a maximum of only 6-7 passengers for enhanced comfort and safety. They are carefully maintained, commercially insured, clean and smoke-free. Our Two Van Guarantee. We could operate more vehicles, but we won't. Limiting tours to only two vans improves safety, mobility and the quality of the experience. Cutting Edge Technology. We utilize the latest weather tracking and radar tools and systems. A Commitment To Safety. Our staff receives thorough safety training every year. And, all drivers are screened and approved by our insurance underwriter. At Tempest Tours, safety is priority. A Dedication To Education. We believe that all guests should leave their expedition with a better understanding of how our dynamic atmosphere works. We provide weather briefings and presentations to help meet that goal. Commercial Grade Insurance. Before the company began operations, we obtained a commercial insurance policy to compliment our commitment to safety. Read A Tour Operator's Responsibility to be Insured. 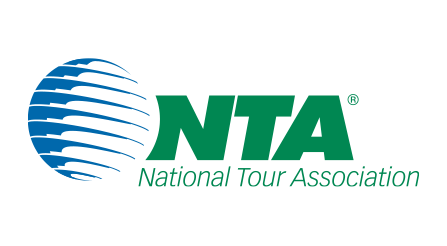 We carry commercial insurance as required by the National Tour Association. We're Down To Earth. Our team is friendly and unpretentious. Our vehicles are simple but safe and reliable. And, we are here for our guests, sharing our knowledge and making sure they receive a unique, quality experience. Also see Tempest Tours in the media and read client testimonials. Come see amazing things with us!